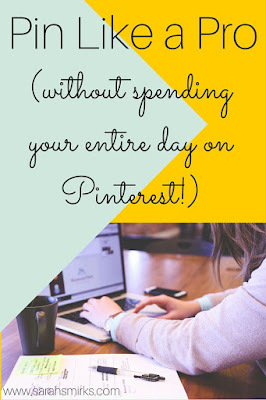 Any blogger knows Pinterest is a goldmine for traffic. 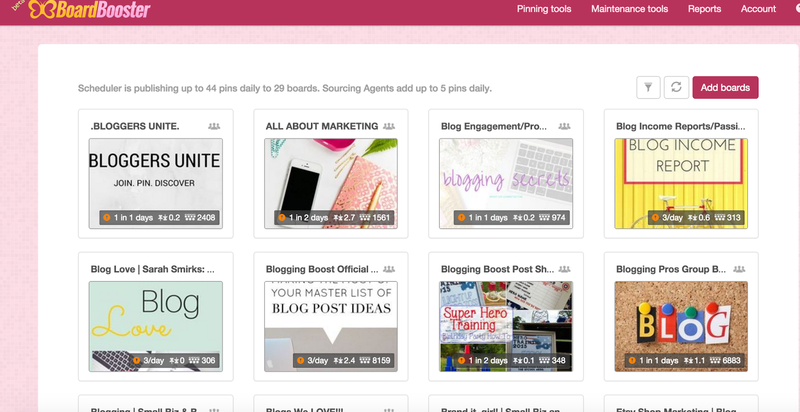 Once you start to get known on Pinterest, BOOM, your blog's traffic instantly goes up. The thing is, you have to pin something like 50 pins a day. Not everyone has time for that (I know I don't! 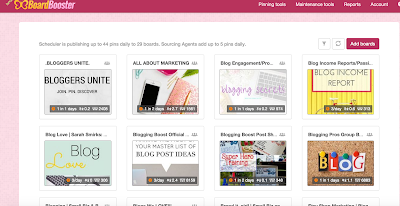 ), but I do have a trick that allows my business Pinterest account to always have fresh pins without having to spend too much time on it. You ready? 1) Go to Boardbooster.com and login (or sign up if you don't have an account. The first 100 pins are free and it's only $5 a month after that). 2) Go to "Pinning Tools" and then "scheduler." 3) If you already have Boardbooster, your boards are already loaded in there. If you're new to Boardbooster, you can just click "Add Boards" and it will load your boards. From there, click on one of your boards. I'll click on my board "Blog Income Reports" for this example. 4) Click on "Pin Sourcing" and "Add." There are two options search and board monitor. 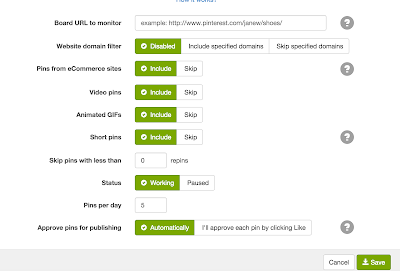 Search uses keyword searches and pins based on keywords in descriptions of pins. Board monitor uses a board that you choose to pin from and automatically pins to your board. I like board monitor because you can choose boards that you know are on point and not spammy or weird. You never know. 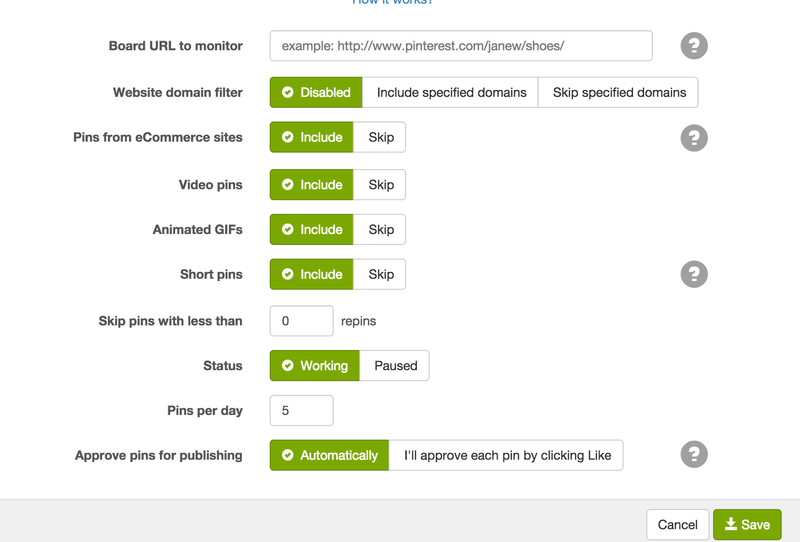 5) Now, you want to pick an awesome board that you want to pin from. Your best bet is to choose a board you end up pinning from a lot anyway. If you don't have one in mind, you can search for a good one. I searched for the keywords "Blog income" and clicked "boards" so I could only see entire boards dedicated to the topic. Scan through a few and choose the best one. When you found a winner, copy the URL of the board and paste it into "Board URL to Monitor." 6) Now, you want to choose your settings. A couple things I always choose in settings is to only repin pins that have a certain number of repins (Peter Piper picked a peck of pickled peppers.) and I skip short pins because they don't get repinned as often. 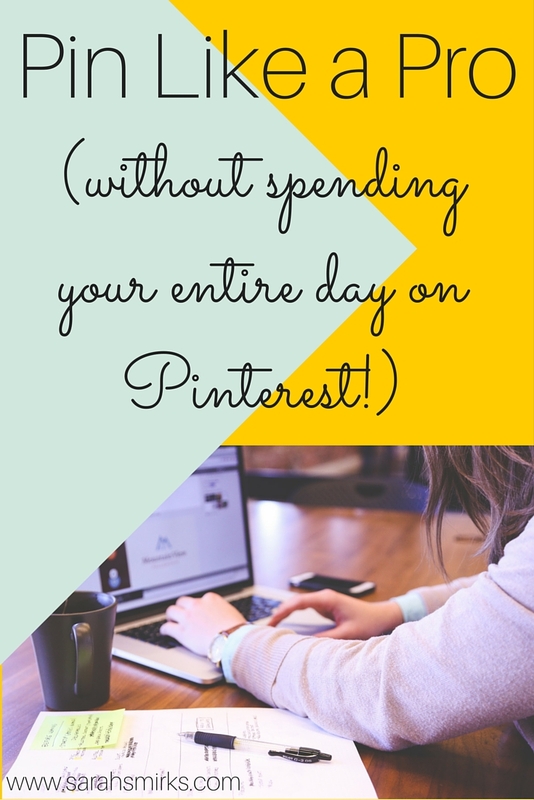 You also need to choose how many pins you want pinned to that board per day. That's it! You can repeat this process for each of your boards and you don't ever HAVE to spend time on Pinterest if you don't want to. Win.